Woot! 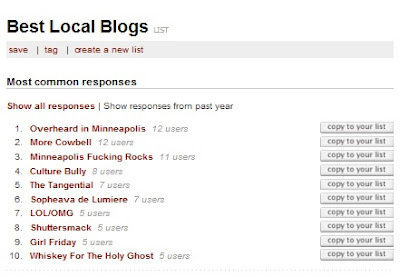 We just noticed LOL/OMG is moving up the ranks on Vita.mn's Best Local Blogs list alongside others like The Tangential, Overheard in Minneapolis, and others. Click here to vote for your top ten picks!